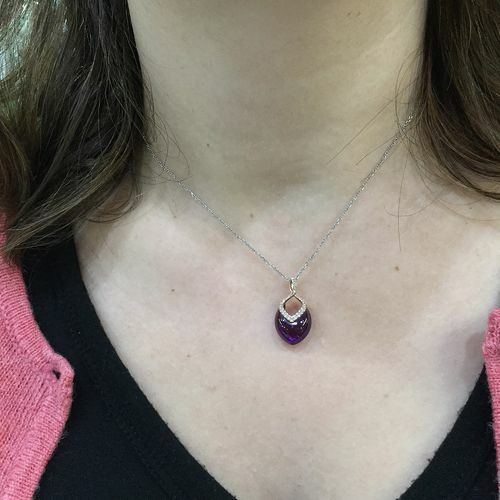 A beautiful modern 10kt rose gold pendant featuring 1 modified heart cabochon amethyst, approx. 4.78ct and 22 single cut diamonds, est. 0.10ct (SI clarity & I-J colour). 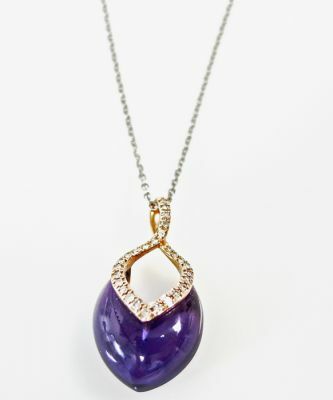 The pendant is accompanied by a 10kt white gold chain that is approx.16 inches (40.64cm) in length.